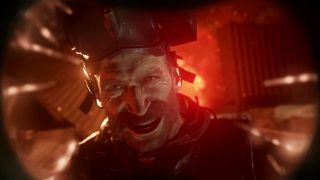 If you've been holding off on picking up Call of Duty: Modern Warfare Remastered because you don't want to pay for Call of Duty: Infinite Warfare, these Black Friday 2016 deals may push you over the edge. Retailers are now offering $20 off Infinite Warfare's numerous editions, which brings the price for the Modern Warfare-toting Legacy Edition down to a standard $59.99. Call of Duty: Infinite Warfare: This standard edition comes with Infinite Warfare only. It's now $39.99 at Amazon for PS4 and Xbox One. Call of Duty: Infinite Warfare Legacy Edition: This is the cheapest way to get Modern Warfare Remastered, since it isn't sold on its own. Now $59.99 at Amazon for PS4 and Xbox One. Call of Duty: Infinite Warfare Legacy Pro Edition: This is the complete package. It includes Infinite Warfare, the Infinite Warfare Season Pass, and Modern Warfare Remastered, as well as a special SteelBook case, soundtrack, and some digital goodies. With the discount it's now $99.99 at GameStop for PS4 and Xbox One. Make sure you check out the rest of our Black Friday gaming deals, too! GamesRadar+ receives a portion of the revenue from each unit sold.